YOU WORK HARD. YOU DESERVE A DEAL! Happy Labor Day weekend! We at Today’s Dietitian know how dietitians feel about their work. For many of you, it’s a calling and you’re thankful to be fulfilling it professionally. now through Tuesday, September 4th. 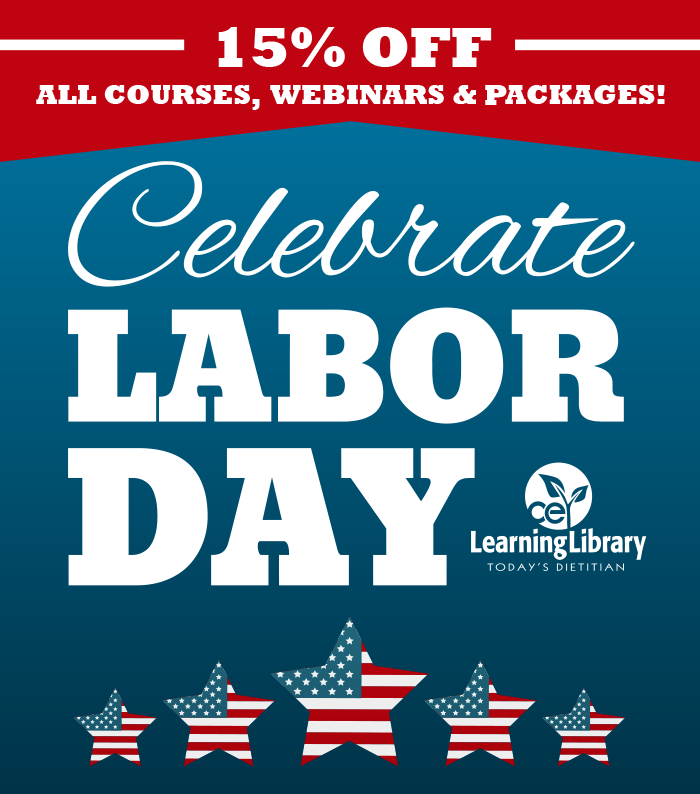 During this time period, place the courses, webinars and packages you want in your cart, then use Coupon Code LABORDAY15 at checkout to receive your discount. Enjoy the holiday and thank you for the work you do as nutrition professionals. *CE Club Memberships, books, book exams, and multi-part courses are not eligible for this offer.